70 years ago today, the Conservation Foundation was established to support the New York Zoological Society’s ever-expanding conservation program. CF funded courses in conservation study, educational films and radio programs, publications, and workshops. It also funded scientific research on natural resources, including the work cited by Rachel Carson’s Silent Spring (1962). Although CF was closely affiliated with NYZS, and they jointly sponsored many wildlife conservation projects in the 1950s and 1960s, it was an independent organization from the start. In later years, the Foundation’s work turned more toward human environmental problems associated with development and away from wildlife conservation. In 1965, under the presidency of Russell Train, it moved its offices to Washington, DC and later became an affiliate of the World Wildlife Fund. 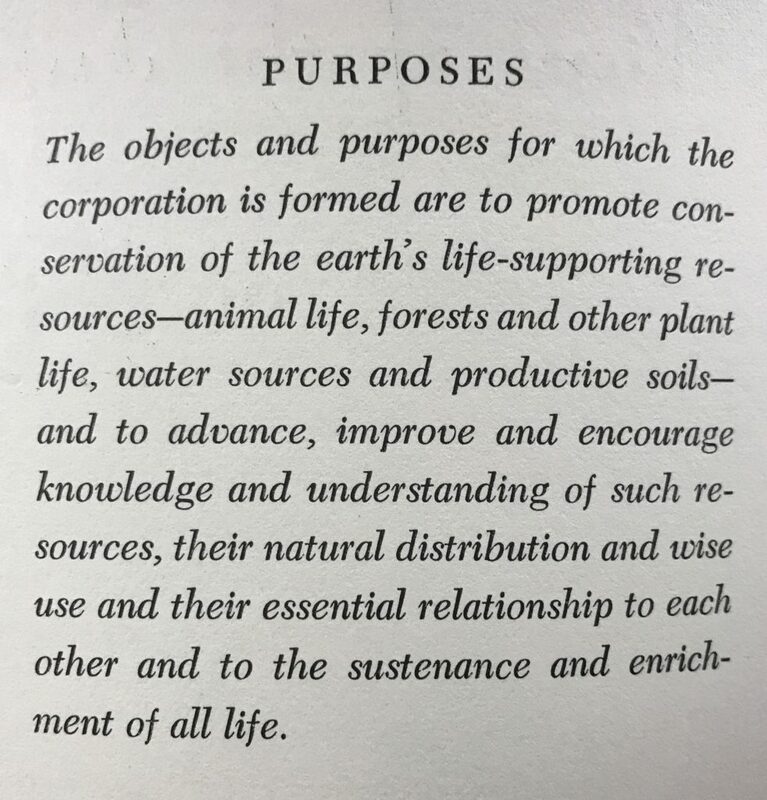 Shown is the Conservation Foundation’s logo and statement of purpose from an annual report held in WCS Archives Collection 1029. Processing for this collection was made possible by a grant from the National Historical Publications and Records Commission (NHPRC) Access to Historical Records grant program.